My 1020 and Grainy/Noisy Photos - Ask for Escalation?, But where? I bought a 1020 from Ebay USA (Am not a resident of States) and had it delivered to my address. Apart from being locked on AT&T, I see that the camera does not perform as advertised, specially the loss-less zoom feature, also indoor photos are "VERY" noisy for a 41 MP phone. I contacted Nokia US on facebook and they asked me to send the phone back to US for repair, which I found stupid and then they added a condition that "We do not ship it outside USA after repairs", well thats more or less like donating your money/phone to Nokia. Even if I somehow get it outside USA, I'll have to pay customs duty and 1 way shipping expense, which is not so cheap, I'll be paying duty on a phone on which duty has already been paid when it was imported the first time. An alternative solution they offered me is "You can have it repaired at a third party site, they may charge you", seriously W.T.Fish? Why would I want to tamper my device's warranty when its a manufacturing fault and not a user fault, I'd have done a third party repair, but boy $600 phone is not a throwaway toy to mess with a third party and then run to Nokia for help saying third party messed my phone so please fix it. Nokia will only say "Not our fault, rd party screwed it"
I decided to mail Mr. S. Elop, but he's been removed from Nokia's CEO post replaced by some fancy Finnish guy whose email address I do not have, can someone help me with this? I'll pray that Santa puts some chocolates in your christmas sock in return. First of all what ISO are you shooting at. High ISO equals noise. I just got a 1020 after using a 920 the last year, and at first I was pretty disappointed with the camera. I too noticed lots of noise, and blur when zooming in fully with the Nokia Camera app... but then I compared the shots to my 920. I held a 920 in one hand and 1020 in the other and started shooting. Where before I was really impressed with the camera in the 920, the 1020 clearly blew it away. Yes the pictures are still grainy at max zoom, and yes there is blur, but when I look at the shots at normal zoom (e.g. in the system's Photos app, which doesn't zoom in as much as the Nokia Camera app) they are far and away superior to what I had shot before. The photos app only shows the 5mp oversampled image, so you really need to use the Nokia Camera app to get full zoom capability. I agree with the other poster that the ISO is an issue as well. Setting to 200 and then putting the camera on a stable surface (or better yet with a tripod) yields much better results than shooting by hand. I wouldn't send your phone in or contact Nokia by email before comparing the photos to a known good set. Take it into a shop that sells 1020s and do side-by-side comparisons with their demo models. If the shots are the same, you need to change your shooting habits and expectations. If your camera still performs poorly, you can then try to find email addresses for Risto Siilasmaa (interim CEO) or Timo Ihamuotila (interim president). I set it to auto, I understand High ISO is bundled with grains/noise but I haven't touched anything on the phone. I am using the Nokia Camera app (even a little zoom adds a lot of stupid noise), I had this idea in mind "To compare my phone with a store model", will see what I can do this saturday, meanwhile I sent a query to Nokia US via email and did a tweet too. I am not sure what you mean by "e.g. in the system's Photos app, which doesn't zoom in as much as the Nokia Camera app", could you rephrase? 1) you will start getting better shots with frequent practice. this is because you will begin to understand what to expect from the camera software in different environments. 2) familiarize yourself with the manual settings. trust me, you will get only 50% expected outcome if you rely on auto settings. 5) i recommend Fantasia Painter app for editing shots. you can reduce the noise in the picture, correct the white balance and do loads of things with it. 6) if you can, avoid using flash, you will get a better white balance. however, pictures taken with flash have better details. take some time to play around with the phone. like i said, it may just be that we naturally expected much more! 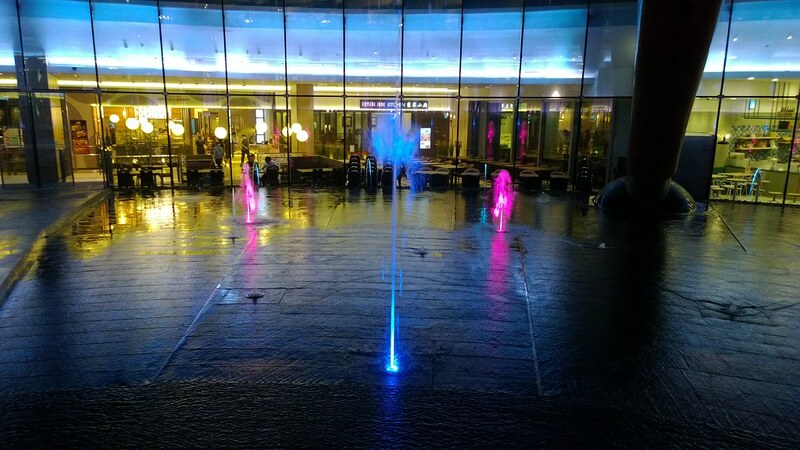 all the same lumia 1020 is an amazing camera phone. Auto ISO is terrible inside. Don't use it. That and wait for Black firmware. It will improve jpeg processing. As for noise, I use imagenomic noiseware to remove. I use this even for my slr night shots. Last two replies are very true. You should learn the manual adjustments. From what I've previously read that makes all the difference. I too have the same problem with my 920.I been trying to find people going through the same issue.Recently i tried going to the nokia showroom and comparing my pictures with Lumia 1020 (Thinking that it has a awesome camera) I tried clicking the picture in nokia camera.Being in the showroom i had enough lights.So i clicked the picture with the ISO set to 100.I tried zooming in to the picture,But guess what ? it was all noisy and grainy.The guy told me it was a prototype and the pictures would vary with one i buy. I mean seriously ?! Aren't nokia supposed to provide a real working 1020 rather than a prototype ? This is like false marketing.Using the phone for so long I've figured this out, Only macro shots looks crisp and clear from the camera.Whereas its the opposite when you try clicking a landscape or a portrait. Last edited by suniltamboli; 12-18-2013 at 12:09 PM. I've had the 1020 for about a month now. Have taken a decent number of shots in various lighting conditions. The commercials probably over exaggerate the capabilities of the camera. However, keep in mind, this isn't going to replace DSLR's. I doubt you'll see anyone at the super bowl ditch their expensive DSLRs in favor for the 1020. Along with that, I agree with what others have stated before - get to know the manual controls. When I have everything in AUTO, unless i'm outside on a sunny day, pictures don't look good at all - especially white balance. There's color issues, focus issues, noise, etc...using manual controls will help so much. will they be perfect? no, but so much better when you fine tune the manual controls. That being said, when compared to all other smartphone cameras, this beats them hands down in terms of quality. and even comparing to decent point and shoots....while they still might have a slight edge in overall quality, try sharing pictures on most point and shoots, and more than likely you end up having to find a usb cable to plug into your computer, copying to your drive, then uploading to various social media. TL;DR - it's not perfect, but compared to all other smartphone cameras and many point and shoots, it's better (quality and sharing experience). and get to know the manual controls. Here is a low light shot I took. The noise isn't that bad. Remember, even with an SLR editing is a must inside with low light. Its been 2 months of lumia 1020. Totally loving it, thou there are instance when few pics come out blurry and sometimes it refuses to focus on some thing. But nothing beats 1020 as od today. With gdr 3 and nokia black things are only going ro improve. U need to understan the phone and its capabilities. I shoot a friends blog pics from my lumia 1020 and people love her pics. Post your "bad" picture and compare it to others. There's probably thousand of example pictures from the 1020 you could easily look at. Yes please share the photo? I'm curious to know too. Is the photo taken in dim places? Night shots often result in higher noise rates. I took this at a not so well lit place, but it looks good to me with the oversampled 5MP photo. Auto settings and hand held. I can not sign in on my Microsoft Account! Is it possible that the hardware of 2520 ATT and Verizon are some?